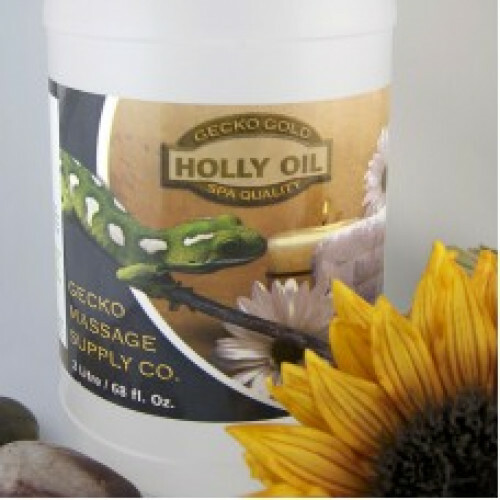 Description: Holly Oil has long been a popular massage oil. It is extremely light to the point where sheets will not be stained. It also has a pleasant cooling effect. Nonetheless, this is offset by the mineral oil in the blend that blocks pores and limits the effects of a therapeutic massage. 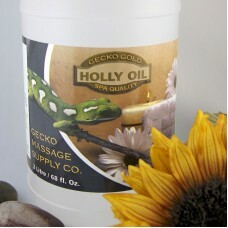 Common Uses: Holly Oil is used almost exclusively in the massage therapy industry. Absorption: It will leave almost no residue, but is capable of actually blocking pores.